The emperor went out among his subjects to see how they fared, and the author mingled with his fans to hear their thoughts. The depth of his writing was not always obvious. It started out as a good read, and then it kept improving as one thought more about it and re-read it. I have grown old with Jack Vance and immeasurably enriched by the reading: humor with intelligence, great characters, intricate worlds of wonder unfolded before my eyes. Deeply saddened by the passing of a meteor in the darkness. Go with my greatest of thanks old friend. Thank you, Mr Vance, for all the dreams you fed my mind with. My journey started with the discovery of Emphyrio, continued through a kaleidoscope of your other books, and remains thankfully incomplete, as I still have yet to read a few of your works. Thank you for the many times that you've transported me to far and fantastic places. You will long be remembered. Jack Vance has passed on, but his writing remains. Lucky us who get to to read and delight in his work, for the first time or over and over again! Jack Vance was my favorite author. When I finished the Lyonesse saga, it was like saying farewell to an old friend. One of my very favorite authors. Great stories, incredibly creative settings, superb and clever characters and dialog, beautiful language... Jack's work is unique. Thank you so much Mr. Vance! I discovered Jack Vance through a fever for early SF writers. I must admit i hated fantasy or adventure books at that moment and Jack Vance just turned my mind with his amazing books. What a great memory, reading the dying earth cycle while listen to iron maiden ! beyond his death, it is also the end of a great generation of authors that just left ashamed so many today's "SF" writers. I've read Jack Vance since I was fifteen, hooked forever by a short passage in The Dying Earth that mentions a tiny pink light bobbing in a distant, dark forest. No other explanation, everything left to my imagination. I've never stopped reading and rereading him since (I'm now 43). RIP to another master. Merci Monsieur Vance pour tous ces mondes merveilleux que vous m'avez fait découvrir depuis 40 ans ..Merci aussi d' avoir donné le gout de la lecture et de l'aventure à un jeune ado...Bon voyage.. I discovered Vance's work in 2005. He became my favorite writer, without equal. I spoke with him on the phone for hours not too long ago. He was a genuine man and a credit to us all. Merci Jack pour tous ces fabuleux voyages. Your short story collection blew my mind. I always like it when it happens. Kepeät mullat, as they say in Finland. One of the first authors to turn me on to the Fantasy genre, he will always remain one of my very favorites. Thank you for the many hours of bliss and joy I got, reading of your many worlds of wonder. Thank you for the awesome books and stories you have shared with us. Rest in Peace Jack Vance. Cast-off party dresses, artificial eyebrows encrusted with jewels, grist tinted rivers, rogue priests practicing hysterical customs in obscure dialects - you had it all - your sharing was a gift; thank you. Thanks for "Tschaï", "Dying Earth" (especially stories about Turjan and Mazirian, so powerfull and poetic) and above all, "Lyonesse" which roads I'll keep treading for years to come. Wherever your path now leads, farewell, Jack and thank you. Dear Mr. Vance, Like others here I first came across your name in the back of my D&D book. I'm so glad I did! After Tolkien and Howard, I felt like I had nowhere to go. You gave me more fantastic worlds of fantasy. Then you led me for the first time into space. Thanks for the reads, Jack. My toast to you will be picking a few of them up again. I named my first WoW character "Cugel", after one of his works. I really enjoyed "The Moon Moth" and many of his other works. RIP, Jack Vance! I'll never forget Cugel the Clever. A character after my own heart. Thank you for sharing him with the world, Mr. Vance. May there be runes carved to your memory. Here's to you, Mr. Vance. Your science fantasy stories enriched my life, and I thank you for it. May your name and your stories live on. I bought Tales of the Dying Earth on a whim and they were so good that I had finished off most of his books in no time. Cugel is perhaps my favorite character in literature. So much insight packed in his books! RIP Mr.Vance, you will not be forgotten. Thank you Mr. Vance for all the unique and imaginative stories. You'll definitely be missed. Thank you, Jack Vance. Part of me will always be walking upon the Dying Earth, or Tschai, or some other world you conjured. unfailing courtesy, good manners and common sense will always win the day. Jack, thank you for taking me to all the amazing places you created. Worlds with driving musicians, strange cults, the Intersplit, bravos on balloon-wheeled tricycles, and great Darsh faces hanging over garden walls. Thank you for taking me places that let me come back home and see myself and the people around me with new eyes. Mr. Vance, thank you for sharing vivid and not always wonderful, but always *wondrous* worlds with us. You were one of the writers who got me through high school without killing myself. Thank you Jack Vance for all your wonderful books and stories. brought alive and the incredible characters opened a new world for me, authors should thank him for another fan of sci fi and fantasy novels as he was instrumental in my interest in reading, so other authors will have novels purchased as I in whatever small way wish to have that excitement of entering a diff' world or riding along with a new character on his adventure's. Thanks mr. Vance for the experiences and the start of my world through your eyes. What an amazing artist. One of the most distinctive voices in fantastic literature, and perhaps unmatched as a novelist when it came to a consistently high level of artistry and inventiveness. As a young man I read "Vandals of the Void" by Jack and it hooked my imagination and sent me down the pathway of reading and later writing Sci-fi. He was one of a kind and I am sure that I am not alone in being inspired by him. He will be truly missed by all. I hope you are in a better place, Jack Vance - but I can already hear your mighty ghost responding that the question is nuncupatory. You were the great master of marvels and we shall not look upon your like again. Thank you, Jack, for so many wonderful stories. I will be re-reading The Dragon Masters this evening in tribute. 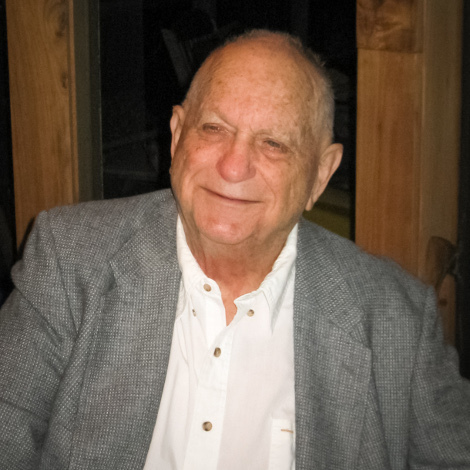 Thank you Jack Vance, for the great work you did and all that you inspired! There will never be another voice like yours. Incomparable. So grateful I ran across Lyonesse back in high school which only lead to more wonderful stories. Rest in Peace. I learned to love the writing of Jack Vance during my teens in the 1970s. My dad had a near-complete collection of his science fiction and I fell in love immediately with the exquisite prose, arch humor, deeply imaginative worlds, and unforgettable characters. Vance is, by far, my favorite author and I can pick up any of his books at any time, turn to any page, and be instantly immersed in pure reading pleasure. I'm saddened by his death, of course, but he was fortunate to live to a ripe old age and by all accounts his life was a very good one. Now, like Navarth, he becomes legend, and though I never knew him, I'll miss him just the same. Thanks Jack for The Moon Moth! I always treasured that story for its style, plot, interesting unique culture glimpse, and the nice twist at the end. RIP! I read 'To Live Forever' when I was 16, and I realized it was science-fiction for *adults* and it felt like a rite of passage for me. Thank you for having lived and written so well, Mr. Vance! There was never a writer who could write like Jack Vance. There was never a writer whose works I have read and re-read as much, with the sole possible exception of JRR Tolkien. There was never a writer who combined WIT with IMAGINATION and sheer ADVENTURE as well as Jack. His works inspired me with a longing, now unquenchable, to have more of the same. I am glad that he has, in some ways, begun to receive his due recognition as a writer. Thank you. Jack Vance, star-dreamer. His space pirates, detective plots and mysterious other worlds are with us always. Blessings to Mr Vance on his next great journey. I've often considered myself lucky to be on this earth the same time as Jack Vance, a master world builder, history creator,an eloquent wordsmith and story teller. Not to mention, the best at describing two individuals trying to swindle and flatter each other at the same time. I never met him but he touched my life and made it a better one. Thanks Mr. Vance. Jack was my favourite writer by far. His unique style and vision brightened my reading over many years. A new Jack Vance novel was always a treat, something to treasure. I've returned and re-read his books time and time again. They never grow stalel they are always fresh. I had basically stopped reading until I found Vance's sparkling prose. It is, like some have said, like a fine wine. Thank you sir. Your star will shine forever. Your glory will never be forgotten. You will always have our affection and gratitude. Rest in peace or good fortune, whichever is more appropriate in your current condition. Jack Vance was one of the greatest science fiction writers of all time. We'll miss him, but we were very happy to have him. A great spirit has passed, the great red sun gutters out--but wait--we watch with gelid eyes sprung ribald with glee as the weary orb lurches back to life. The Master has passed beyond our reach, but yet, yet, we have his words. Your fantasy vision and style will never be forgotten, you even got me to use my dictionary after so many years since school with your special selection of words. We the remaining still live in the Dying Earth, but we will never forget you. Jack Vance was one of the greatist writers I have had a chance to read. God Bless you Mr. Vance for hours of reading pleasure! Looking at my shelves I see almost every one of Jack's books dogeared through reading and rereading. The pleasure this wonderful man has given me can't really be expressed adequately in words - Thank you. My sincere condolences. I'll always remember Jack for his sense of humor and his love of Big Band Jazz. He was always saying how his music was what kept him young and at 96 he was still playing songs on his uke for whoever came to visit. We're all going to miss you!